Respect for authority seems to have gotten a little lost in the last few years. Do you remember when school teachers and principals were authority figures in the community? When police officers commanded respect? When our elected officials were worthy of our respect and consideration? When we were told, as children, to “respect our elders” – and we did? It’s not so long ago. I’m not saying that all of the above – or even most of the individuals in the above positions – are nowadays worthy of respect. Sometimes it’s a little hard to respect politicians. Sometimes it’s a lot hard! When so many of them seem corrupt and only in it for what they can get out of it for themselves, it seems easy to criticize and offer no solutions, figuring that all are as crooked as the next. However, that doesn’t mean we shouldn’t respect the roles they serve in. Even when they don’t respect those roles themselves. Perhaps especially when they don’t respect those roles themselves! If we want great politicians, we need to start by respecting the role that politics – great politics – can provide in our communities when it’s done right. If we don’t think our politicians are good enough, we need to act to change things. We need to do our civic duty and become involved, even when it looks like a lot of work. If we want great teachers and great police officers in our communities, we need to start by respecting the roles teaching and policing have in our community, and the benefits they give us. If we want great healthcare, start by respecting those who provide it, at all levels. And if we want a great legal system, start by respecting the law. It seems these days that everything is just a bit broken. We have politicians that can barely hold civil discourse, and teachers who can barely spell or add up. It can get better – but we need to start with respect. If we don’t value these important roles in our communities, we won’t get the best people in those roles, because they won’t command respect, good wages and high standing in the community. Or, as my father used to say, Pay peanuts, get monkeys. 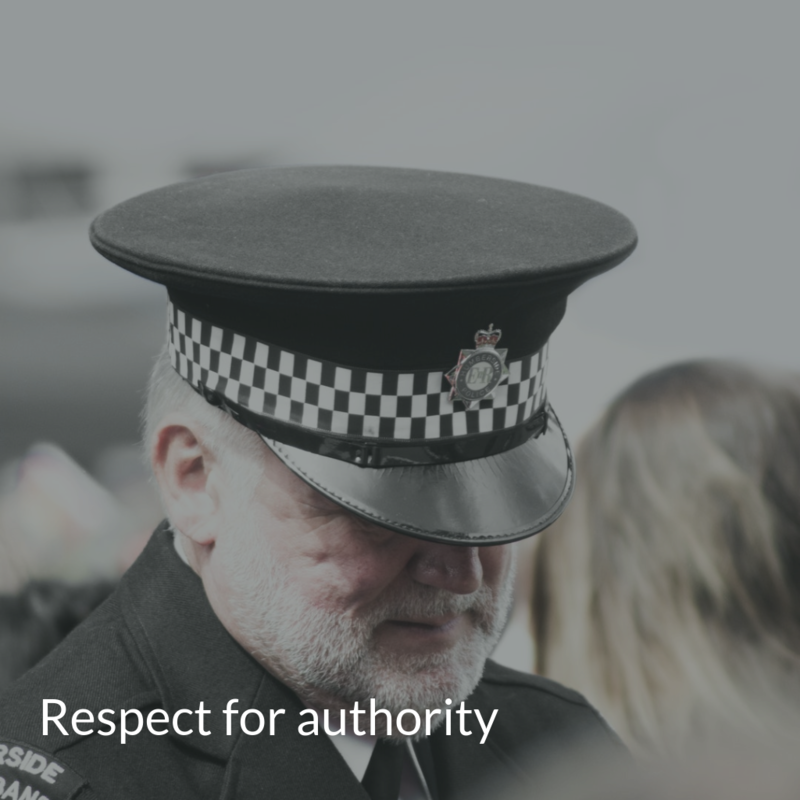 We need to start by teaching our kids to respect authority as well. Model respect in our own lives, and our kids will follow.